If you’ve never played roulette in an online or mobile casino, or even in a real world bricks and mortar casino, our roulette guide is just what you need to help you discover this brilliant and enduring game. Roulette is actually one of the simplest games around and it is this fact, as well as the glamour and the chance to win big, that makes it such a popular game with casino fans everywhere. If you want to join the roulette party but don’t know where to start, we can tell you: right here! As with many things in life and almost all casino games (bar the ones most recently invented) the exact origins of roulette are a little murky and disputed. What is fairly certain is that the game began in France in the 18th century and indeed the name roulette almost certainly derives from a much earlier “Old French” word, roelete, meaning “little wheel”. That word is thought to have come from the Latin word rota, meaning wheel. Etymology aside, let’s take a look at roulette in its early years. It is felt that roulette was preceded by a number of games, including various English wheel games such as Roly-Poly and Ace of Hearts, and also some existing Italian and French games. In fact, as early as the 17th century a French physicist, Blaise Pascal, may have invented what could be viewed as the first ever roulette wheel when he was attempting to create a perpetual motion machine… the world energy issue’s loss is our gain then I guess! One undeniable fact is that by the late 18th century, France – and Paris in particular – was enthralled with the game, an 1801 novel describing roulette almost exactly as we know it. In fact, there is a written reference to the game as early as 1758 but it wasn’t until later that the game really began to gain popularity, spreading throughout Europe via merchants and traders. In the beginning, roulette had both a single and double zero, the former being red, the latter black, though by the start of the 19th century these had become green. It was in 1843 when the single zero version of roulette was developed, casinos introducing this more player-friendly variant to attract business and unsurprisingly it was a big hit with roulette fans. The game continued to spread, immigrants bringing roulette into America, firstly in French New Orleans, although it was only ever the double zero version of roulette that was played in the USA. From these early games little has changed and whilst, of course, the advent of online, mobile and live dealer roulette have brought the game to a wider audience and allowed such developments as progressive games, bonus roulette and other variants, in essence, roulette now is exactly as it was 200 years ago. Read more roulette history here. 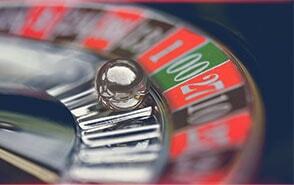 For your convenience, we have also listed some interesting terminology relating to roulette. House Edge – As said, roulette has a reasonable – compared to many other casino games – house edge of 2.7% in the single zero version of the game. As for the double zero… don’t bother! The Devil – Add up all the numbers of the roulette wheel and you get…666! This is just a coincidence of course(!) but it is claimed that one of roulette’s early kingpins learned the secrets of the game from the devil himself! Odds on… – The odds on 10 straight reds are roughly the same as the odds on zero (or any other number) coming up twice in a row. Not that uncommon, eh? Martingale – Did we mention this was a bad system? Don’t ever play it! California Roulette – This game was invented in 2004 as a legal version of roulette in California, using cards instead of a standard roulette wheel. Mike Ashley – Newcastle United owner, billionaire and boss of Sports Direct Mike Ashley can trump Revell and then some. In 2008 he won £1.3m on a single spin in a Mayfair casino. The bets covered every possible bet involving his lucky number, 17, and his profit from his total stake of £480,000 was more than £800,000 when the ball dropped into 17. Duck – In 2007 a man wagered a duck in a Las Vegas casino on double zero. When the bet won pit bosses informed the man that ducks were not accepted at the table and he was given just 25c in compensation. Duck – The duck fact above, it isn’t true. The rest are though…roulette’s a great game! Roulette really couldn’t be any easier to play, especially online. Assuming you already have an account with an online casino just head to the table games section and load up roulette, ideally European roulette (for reasons explained later). If you don’t already have an online casino account why not check out our casino bonuses section to find out more about the different online and mobile casino and roulette sites and the different promotions and freebies they offer new customers? Once you have your roulette game up and ready to play, all you have to do is decide what number, colour or combination of various numbers (and colour too, if you want) you want to bet on. Playing online is, as said, incredibly simple because you don’t need to worry about saying or doing the wrong thing and the casino software won’t allow you to place a bet that breaches the minimum or maximum limits of the table. In European roulette (of which more later) every bet has the same ratio between the odds it pays out and the probability of it winning, so whether you bet on one single number, 18 single numbers, red, black, odds, evens or anything else, the casino’s advantage remains the same, and therefore so do your chances of profitability. A roulette wheel consists of the numbers from 1 to 36, with half being red and half being black. Equally, of course, half of those numbers are even, whilst the other half are odd and in addition, there is a single, green zero, making for a total of 37 “pockets” in which the ball can come to rest. All single number bets pay out at odds of 35/1, meaning a £1 bet on a single number returns £35 plus your £1 stake. As such, if you removed the green zero from the equation you could put £1 on every single number and break even every time. Not much fun, that’s for sure, but what that shows is that it is the green zero, or rather the fact that there is an extra “number” on the table not fairly reflected in the odds, that gives the casino the advantage – called the house edge. Whilst many beginners will choose to start with a simple bet, such as red or black or odd or even, there are a whole host of different betting options when playing roulette. As stated, they all carry the same risk/reward ratio, so in the long term, your chance of winning is the same. What differs is the short-term results and the variance. For example, obviously, if you bet on a colour – almost half the wheel – your chances of winning that individual bet are far greater than if you back just a single number. But the reward for the single number is so much greater. So, for example, if you placed 1,000 bets on red, you would expect to win just under half of the time and thus make a small loss. There would be some variance from this so you might win 510, 540 or, if you were less lucky, perhaps only 470 or, if you were very unlucky, maybe just 400 times. However, the overall profit or loss would remain fairly steady because of the relatively low odds for a win. However, place 1000 bets on zero (zero, like any single number, pays at 35/1 remember) and you would expect to win 27 times and again, make a small loss. However, with just a little bit of luck, you might win 30, 35 or even 40 times and thus make a substantial profit because the payout for a win is so big. However, it wouldn’t take such a huge swing of bad luck for you to only win, for example, 10 times and this would lead to a substantial loss. A single number and a colour are at opposite ends of the spectrum when it comes to roulette, one offering the smallest odds but the best chance of winning, the other the highest odds but the worst chance of success. In between, there are many options, including backing combinations of bets, and here we list some possible bets you can make in roulette. Many of these bets can be recreated by mixing other bets, for example putting £10 on 1 and £10 on 2 is the same as putting £20 on the 1 and 2 split. Equally putting £10 on all the odd numbers is the same as a bet of £180 on the odds. Playing online roulette is, as said, really easy, because the software just won’t allow you to place a bet that isn’t allowed, be that because it’s too small, too big, too late (after “no more bets” has been called once the ball is in the wheel) or because it’s not a valid combination. With many online roulette sites, the minimum and maximum stakes will be displayed either in the rules when you hover over a given number/combination or on a visible “card” that lists the various limits. Hovering over your bet may also detail the payout odds so playing roulette online really couldn’t be any easier, especially as this all happens at your own pace (as unless you are playing live dealer roulette you decide when to spin the wheel). Payouts are automatically calculated for you with returns automatically being added to your chips and the balance clearly displayed, making it easy to know if you are winning, losing or breaking even. The house edge is something that is brought up often in gambling literature and guides. But what is it exactly? The house edge refers to the mathematical statistical advantage that the casino has over the players in terms of the money paid out as winnings versus the money lost by players over the course of hundreds of thousands of spins. This is also where the profits of a casino come from, be it land-based or virtual. So how does it actually work? 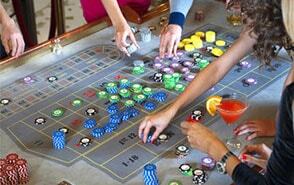 Casino games are designed so that the odds of winning a bet are lower than the payout ratio for that same bet. For example, a Straight Up bet on European Roulette has a payout ratio of 35/1, meaning that you win $35 for every $1 that you wagered. This is also sometimes referred to as casino odds. True odds are the probability of winning the same bet, in the case of a Straight Up – 1 to 36. This is where the disconnect comes in. If the payout was according to the true odds then it would be 36/1, not 35/1. The difference between the true odds and the casino odds are what we call house edge. For example, a Straight Up bet will statistically win in every 1 out of 37 scenarios, but the winnings do not cover for the losses all the spins lost. In European Roulette, that difference is 2.7% across the board. However, in American Roulette, the difference is higher as the game features an additional pocket but does not balance the payouts to reflect that. As a result, the house edge is increased to approximately 5.27% for all bets, with the exception of the Basket bet. The Basket Bet – a wager on 0-00-1-2-3 – comes with a payout ratio of 6/1, but has a win rate of 5 out of 38 spins. This results in a house edge of 7.89%, significantly higher than any other bet in the game. Being new to a game is a fun and exciting experience, but also one where we have no idea what we are doing. In such scenarios, one is often susceptible to believe rumours and myths, because they simply do not know better. This is a pitfall that many gamblers face when they first encounter roulette or any casino game for that matter. The gambling world is full of misconceptions and anecdotes presented as indisputable facts. Unfortunately, many inexperienced players make the mistake of believing all sort of misinformative literature that guarantees them a win. Rather than give you some tips on how to achieve a large profit, we will list some of the most detrimental activities that you can engage in and the worst mindsets that you can fall into when playing roulette. Martingale is a roulette betting system that originated in 18th century France and dictates that whenever you lose you should just double your stake. It is mainly used for roulette betting on the even-money options but can really be used to bet on any event, from sports betting to casino games, where the odds are around evens. In theory, this looks like a system that can’t lose because whenever a losing sequence ends, the staking plan means that you will be left with a profit of one. However, unless you have an online casino with no maximum bet, as well as a bottomless wallet and a never-ending amount of time, the Martingale system is guaranteed to lose. Many people think they are the first to dream up this system, whilst others may even pay to use it but in truth, whilst it may deliver lots and lots of very small wins, eventually a very large loss will wipe you out. The chances of five, 10 or even 15 straight losses coming up are far greater than people think and when such a bad run hits, your profits – along with your savings if you’re stupid/unlucky – will be gone. A roulette table is a piece of machinery with no memory and which gives an equal chance of any number or colour coming up on any given spin. People think that if there are eight reds the next spin MUST be a black but this isn’t the case. This links into Martingale too because people think there just couldn’t be 10 blacks in a row, and hence assume their system will work. 10 blacks in a row happens every single day. Equally, if you see the same number twice in a row, that number has just the same chance on the next spin as any other. As said, roulette cannot be beaten. The casino has the advantage and whatever you bet on and however much you bet you cannot get around that fact in the long term. Yes, systems, including Martingale, are capable of delivering some wins but NEVER pay for a system and NEVER think you can beat roulette as that will simply lead onto the next point. All, or certainly many, of our bad roulette strategies and myths are linked and this is the case here. If you think you can beat roulette, or you use Martingale, or you think that what has happened before impacts what will happen next, there is a big chance you will chase your losses. Roulette doesn’t have a system or strategy that allows you to beat the casino and if you remember that you won’t go wrong. If you ever see a roulette system offering to guarantee a profit or, worse, you ever see a roulette betting system for sale, ignore it! Roulette systems and strategies are older than the hills but none can beat the simple mathematical advantage the casino has due to the difference between the odds paid out and the probability of any given outcome. Granted, some players might have relative success in the short term, but over time this advantage will be forfeited to the house edge. Remember, any gambling system is only as good as the RNG that it relies on and as we know, when RNG is introduced, nothing is certain. Over the years, roulette has developed into a diverse and engaging casino game genre, with several different variations available at just about any online casino. 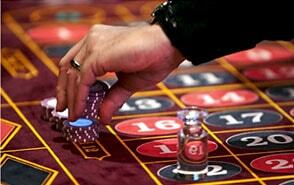 Roulette fans will be pleased that they will have multiple options when it comes to playing their favourite game. 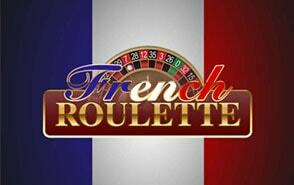 One of the oldest variations of the game, French Roulette is one of the most popular sub-genres that you can find on the Internet. This game utilizes the single-zero wheel layout and as such, features a 2.7% house edge. French Roulette is highly stylized and uses a different look for the betting layout, portraying many of the bets with their French names. The iconic feature of the French variation are the ‘la partage’ and ‘en prison’ rules, which are exclusive to this subgenre of roulette. The ‘la partage’ returns half of your bet if you lose an even money wager when the ball lands in the zero pocket, whereas, the ‘en prison’ keeps your money for another spin allowing you to win it back. These two rules are generally mutually-exclusive, meaning that you will only encounter them one at a time, but they do serve the same purpose, which is driving down the house edge by half to 1.35% on even money waggers. Being one of the classic versions of the game, each software provider has their own unique French Roulette title, making it one of the most widely available on the Internet. 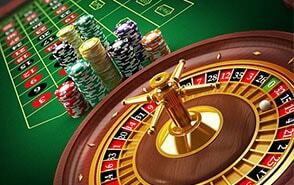 European Roulette is perhaps the most widespread variation of the game that you will find at online casinos. It is directly inspired by the vanilla version of roulette, making it instantly recognizable by the general gambling community. It employs the traditional 37-pocket wheel, which features 36 alternating black and red pockets and a single green pocket used for the zero. This result in a low house edge of 2.7%, which is considerably less than many other casino games out there. 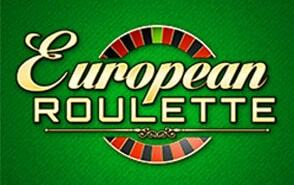 European Roulette is a safe choice and we are sure that you will have great fun playing this all-time classic. 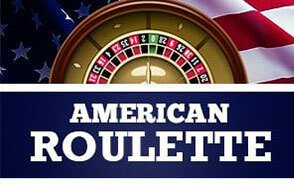 American Roulette is what you would want to play if you wish to experience Las Vegas gambling. As the name implies, American Roulette is primarily played in the United States, where it is a main attraction in many gambling cities. Luckily for you, you will not have to travel to these locations to play this game. As it happens, American Roulette is quite popular among the gambling community and every software provider has developed their own unique version of it. As a result, you will be able to place a few bets on this variation regardless of where you choose to play. American Roulette is played with a 38-pocket wheel, upon which you will find 36 alternating black and red pockets, as well as, a couple of green ones used for the zero and the double-zero. The house edge is an appropriate 5.27%, which does make it less profitable than European and French Roulette, though. Leave it to Playtech to bring some innovation to an already centuries-old genre. This software provider has brought together the original game of roulette and their Age of the Gods series, forming one of the most popular progressive table games in the world. The wheel features the usual 36 red and black pockets, a green one for the zero, and an additional pocket with the Age of the Gods symbol. The 38-pocket variation results in the game having a house edge of 5.27%, similarly to American Roulette. 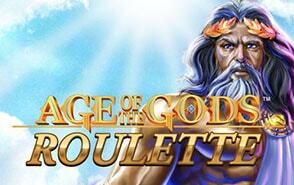 However, Age of the Gods Roulette does have the added benefit of offering a progressive jackpot. A player can activate the bonus round when the ball lands in the Age of the Gods pocket, where four jackpots can be won. The different jackpots differ in size when compared to each other and their value will also be affected by the size of your bet. Therefore, the more that you wager the higher the jackpot that you stand to win. Overall, Roulette is a great way to pass the time and you will have multiple games at your disposal, regardless of your gambling website of choice. The genre is quite diverse and gives you a certain sense of control over the risks you can take. Rarely does a casino game provide you with the opportunity to place both low- and high-risk wagers at your discretion. This contributes to the popularity of the game and we can only rejoice at the thought.